12 Dec – Japanese model-actress Aki Mizusawa recently made a confession, saying that she had an affair with action superstar Jackie Chan in the past. According to 21CN, Mizusawa, who was on a variety show on 1 December, revealed that she met Jackie in Barcelona during her youth when she was assigned to interview the actor at his movie set. The model revealed that the two of them fell in love and had an affair for a year despite the fact that Jackie was already married with children. Mizusawa, who later married an American businessman and had two children together, disclosed that though they finally broke up, she always thinks fondly of Jackie and even praised him for being a gentleman. When asked to address Mizusawa's claim, Jackie, who attended a promotional event for his upcoming film, "Police Story 2013" on 8 December, only smiled and said, "We'll discuss this privately. It's hard to just address it with a few sentences." Mizusawa is not the first woman to have been linked with the actor. 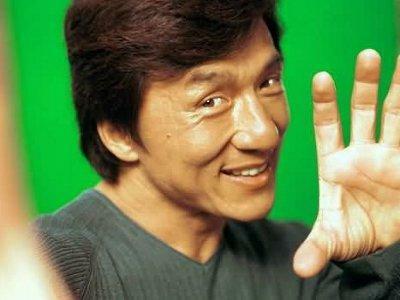 Jackie was rumoured to be dating several other women, including the late singer Teresa Teng and actress Brigitte Lin. He also admitted to have had an affair with actress Elaine Ng, who then gave birth to their daughter Etta Ng.